Winter landscape vector illustration. Log cabin covered with snow and ice, pristine mountain landscape around the buildings. Evergreen trees, piles of snow and big fluffy clouds in the sky. Skier with dark glasses on one of the piles of snow. 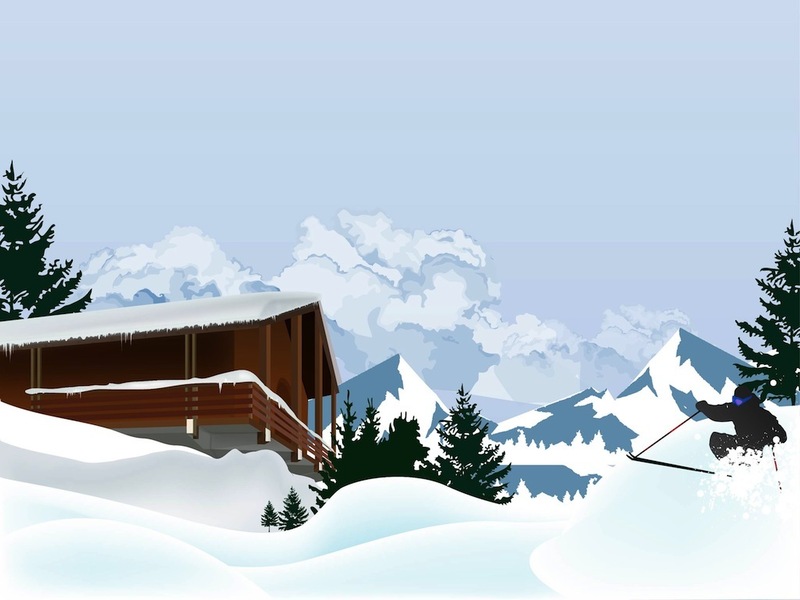 Free vector illustration for all winter property, skiing real estate and vacation designs. Tags: Mountain, Ski, Skier, Snow, Trees, Vacation, Winter, Wooden.